Planning work for the garden started, and the first sod was turned by ARA Chairman Tom Pearce in February 1973. The photograph below shows newly built nursery buildings, and shrubs being grown ready for planting out. 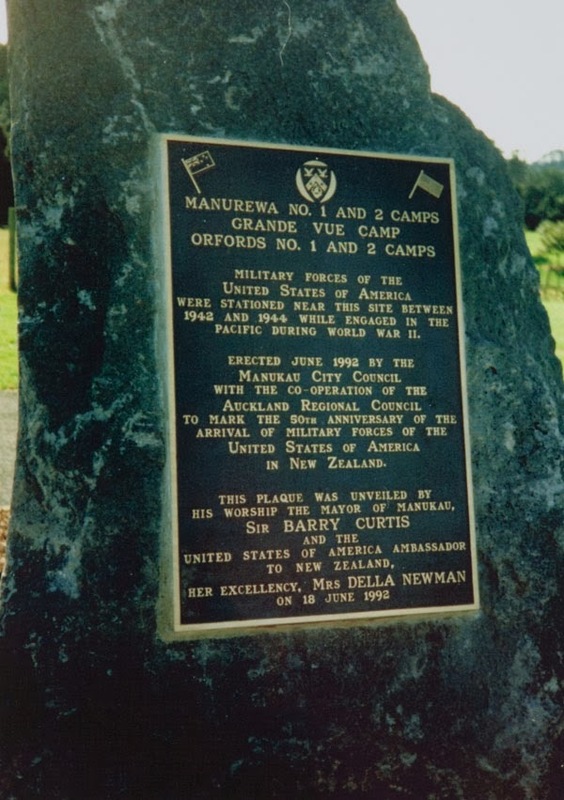 In 1982 another 23 hectares were added to the site by purchase and donation from Manukau City Council. Now totally 65 hectares, the Auckland Botanic Gardens were opened to the public in February 1982 by the Governor General Sir David Beattie. 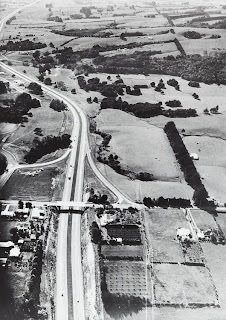 98,000 people visited in the first year. 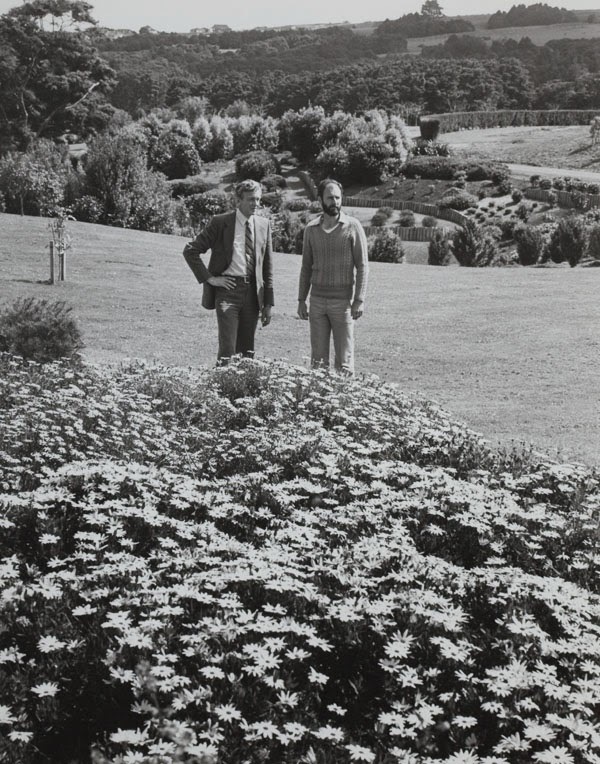 A year after opening, the Friends of the Auckland Botanic Gardens was formed, and held its inaugural annual general meeting in April 1983. 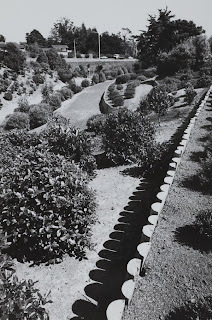 The Friends have given considerable support to the gardens since this time through horticultural work, manning the Visitor Centre, fundraising, establishing a reference library, and organising lecturers and events. 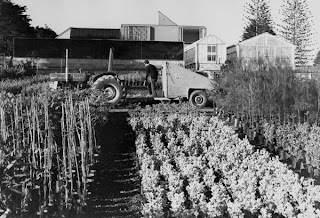 The gardens contain one registered historic site - a flour mill, thought to have been established in the mid to late 1800s, adjacent to a tributary of the Puhinui Stream. The only visual remains on the surface are a depression where the mill once stood and a narrow trench at right angles to the stream where the mill wheel was housed. The restored mill wheel is on display at Howick Historical Village. 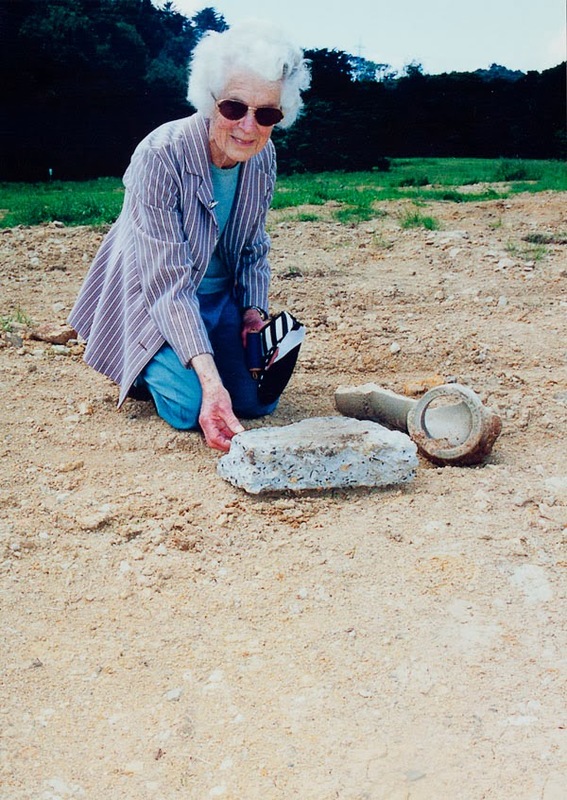 In the pasture land towards the north-eastern boundary there are the remains of some concrete floors. These are from the camp buildings used by American military units stationed here during 1942-44. In 1992 a monument was erected on the edge of the Rose Display Trial Garden to mark the 50th anniversary of this stay. 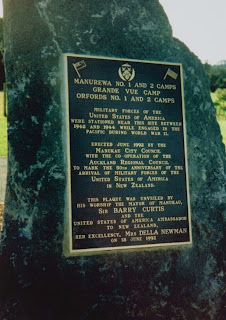 The plaque was unveiled by US Ambassador Della Newman and Mayor of Manukau City Sir Barry Curtis. For knowledge as for pleasure made". 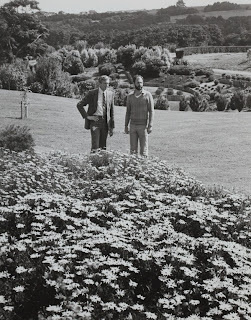 The first twenty-five years : Friends of the Auckland Botanic Gardens, 1983-2008. Newsletter / Friends of the Regional Botanic Gardens. Management plan : May 1995 / Auckland Regional Botanic Gardens. Management plan: draft May 2001 / Auckland Regional Botanic Gardens. You can also search the Manukau’s Journey database/chronology using the search term: botanic gardens to bring up information and images relating to the site.